DESCRIPTION OPEN HOUSE ON APRIL 20TH, 2019 FROM 2 TO 4 PM. This Renovated 1163 sqft BUNGALOW with a FULLY FINISHED BASEMENT and single ATTACHED GARAGE is ready for you to move in! Home is fully renovated with new kitchen, new appliances, new bathrooms, new paint, new carpet and so much more. This home contains hardwood, vinyl and carpet throughout, along with features such as a water softener, vacu-flo, and a new water heater. The home is bright and spacious and situated on a LARGE LOT with A BEAUTIFUL YARD on a QUIET STREET! Close to schools and shopping and only a short distance to downtown this home won't last long! Home for sale at 6023 Thornbank DR Nw Calgary, Alberts T2K 3P4. 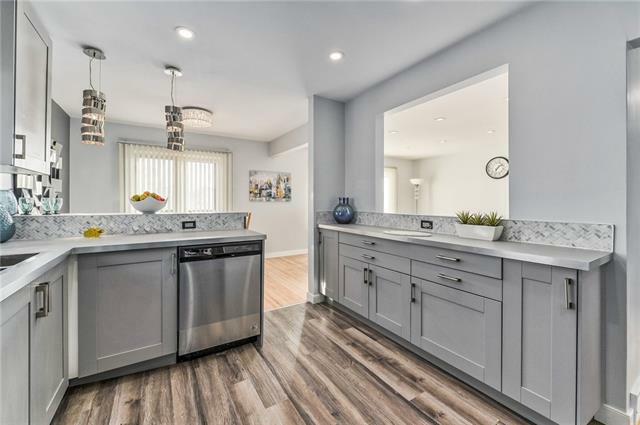 Description: The home at 6023 Thornbank DR Nw Calgary, Alberta T2K 3P4 with the MLS® Number C4238577 is currently listed at $439,900.